Yesterday, I made our family's traditional hummus — a recipe handed down from my grandmother and namesake, Tata Wardee, to my mother and then to me. However, there was a difference: this time I lacto-fermented it. To do this with hummus (or almost any other condiment), just switch out some of the liquid for whey and give the mixture an overnight sit at room temperature to complete a fermentation. The beneficial organisms in the whey have a bit of a feast on the sugars in the food, and proliferate throughout. The result in hummus is that the organisms make it a little “fluffy” or “bubbly” from the gases they produce. I found that my digestive system likes lacto-fermented hummus better than the regular kind — because sometimes garbanzo beans (or chickpeas, as they are also called) can be more gas-producing than other beans. The darker flecks in my hummus are the result of using an Indian relation of chickpeas/garbanzos — the Chana Dal bean (and more info here at Azure Standard). They're smaller with darker skins. I don't bother to remove skins from garbanzo beans; that's just too much work! I highly recommend using toasted sesame tahini. Toasting is another means of reducing phytic acid in seeds, and it gives the hummus a darker, roasted flavor. Love it! This morning, I served our lacto-fermented hummus with sprouted crackers, Middle Eastern cheese, two fried eggs, and kefir and fruit. Have a wonderful weekend, everyone! 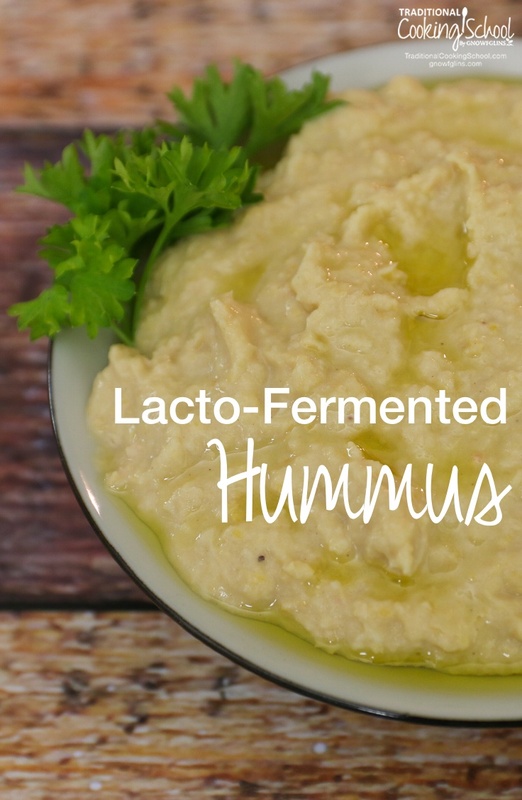 Have you ever lacto-fermented hummus? It never really occurred to me to make a lactofermented hummus. I do, however, sprout the chickpeas before cooking them. That seems to remedy the gas problems with most beans, in my experience. Have you tried sprouting? Crunchy Nurse — Yes, I’ve tried that and it does help, as long as the beans are then cooked as you do — raw, sprouted hummus is gassy in my experience. Most often I just soak and cook chickpeas for hummus. Yum! We LOVE bean paste around here. I made an indian-style hummus paste and lacto-fermented it. It is really yummy over rice and beans with veggies. Oh, I can’t WAIT to try this! Thanks! With this, I might get my hubby eating lacto-fermented food! He looooooves hummus! Hello; This sounds like a nice recipe to try. I was wondering if I could use water kefir instead of whey? I can ferment hummus?! Awesome!!! I’m going to try this recipe. M.E. — Hope you like it! Why do you use only the whey and not the kefir as it is? Is it ok to use kefir as it is instead of using whey? JK — Good question! I have to admit, I’m not sure what others would say, but I can speculate on my own reasons. 1) The whey is purified and doesn’t have solids or sugars to spoil. 2) The kefir can change the texture or taste, while whey is more neutral and really just supplies organisms. Water kefir is similar in both respects — sugars have been consumed by the organisms and it is fairly pure of other ingredients (fats/sugars) — and its flavor is neutral if used after the first fermentation. Renee — Lacto-fermented condiments last longer than their non-fermented homemade counterparts, due to the protection of the beneficial colony of organisms and higher acid level. You can expect a few weeks at least in the refrigerator or cool storage, quite possibly longer. I am curious how long it will last, too. I just made some, and it made oh so much!! One bag of soaked chickpeas goes a long long way! I have a quart and a half! I am going out of town Wed-Mon, so I do hope the lacto-fermentation males it last longer than a plain batch in the fridg. It is out-of-this-world yummy!!!!!!! =D Thanks for sharing!!!! Annalise — Oh, that’s great you like it! 🙂 Have a good trip, I think it will be fine until you get back (see my previous comment to Renee). If you tried freezing some, would it still be probiotic? Yes — Freezing does not kill the good bugs. Wardee, do you have any guidelines for how much whey to add and how long to ferment things for? I am always afraid to experiemtn with this and create a food poisoning disaster. But it just seems random to me–your guacamole–which I’ve been doing–said only 7 hours, mayo is similar, whereas ketchup is 3 days, and some are longer. What’s the secret? First realize this is an art, not a science. People have been doing it for so long and there could be as many “rules” as there are people! Not to mention people’s tastes with effervescence, crunch, and texture. I have some general guidelines I follow, and I’m always adjusting, too. 1) I aim for about 1/4 cup of whey per quart of lacto-ferment. 2) If it is solid food (chunks or chopped up veggies), I aim for 3 to 5 to even 7 days of fermentation. Generally, you have to taste the food to see if its texture is pleasing and then call it good. 3) If it is pureed food, an overnight ferment is usually enough — in the case of mayo, guac, and other foods. BUT, those could go longer if someone was interested in more bubbliness or more overall fermented-ness (if there is such a word!). Going longer might require skimming the top for spoiling, as the top exposed to air is what will spoil first. 4) If it is a higher acid food (such as tomatoes), the fermentation can go longer. This is because the acidity of the food prevents spoiling. 5) Fruits or sweet ferments will spoil faster than veggies, due to the sugar content. 6) Wet foods spoil faster than dry foods, due to the moisture that attracts putrefying bacteria. This is why we add salt to ferments — the salt acts to tie up the moisture so the bad organisms can’t use it. Anyway, those are just a few things I try to balance when fermenting foods. And I’m still learning it! I wish I had started long ago. 🙂 I hope this helps. And as for you being afraid, you don’t need to be. Let your noise and your tongue guide you. In most cases, they will give you fair warning that an experiment has gone wrong. Super helpful Wardee! They should have an outline like that in Nourishing Traditions to encourage experimentation. Some of the recipes just don’t sound appealing ot me but knowing how to apply the general princicples will be super helpful. I am doing the Specific Carbohydrate diet for which chick peas are illegal but I have a recipe for lima bean hummus that I will be trying this with. Thanks so much for the inspiration!! 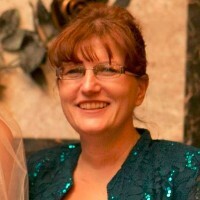 I am just getting into sprouting and it’s a miracle I found your website! I was wondering, do you need to cook garbanzo beans after sprouting for making hummus? If so, how long do you need to cook them? And does the cooking remove any nutrients? Thanks so much! I do recommend cooking sprouted garbanzos — otherwise they can cause digestive discomfort. Cook until they’re tender — between 30 minutes and an hour, I’d say. Cooking is very helpful because beans contain complex carbohydrates that are hard on our digestive systems. Soaking, cooking and sprouting all help with this. Some beans (like lentils) are okay to eat sprouted but not cooked, though some people prefer to cook those too. OK so I soak or sprout the beans then cook them then ferment 1st OR make the hummus THEN ferment? — Hope you like it! I was wondering if I could use water kefir instead of whey? I like to put Braggs Amino Acids in my hummus. Would it work to add the braggs when I blend everything up or should I add it after it has been out for 7 to 12 hours? I just soak some garbanzos Sat night, and following the NT recipe for basic Garbanzos, picked every skin off them before transferring to simmer for 6 hours. That took ridiculously long, and I only started with 1 cup dried beans (3 cups rehydrated). I was trying to find in the NT book why exactly the skins should be removed but couldn’t. I suspect that there is phytic acid in the skins which would make sense as to why to peel it off, but good grief, that took foerver and my fingers were cramping up! hahahaha! Well I plan to make this recipe for lacto -fermented hummus with them. I made pro-biotic buttermilk ranch dressing this weekend, as well as put up salsa and ginger/carrot/kale to lacto-ferment. So excited! I have just made the hummus, and packed it into a jar. I was wondering, should there be olive oil in the basic mixture? 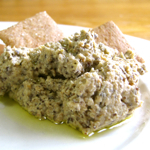 Other hummus recipes I have made have olive oil in. I notice in the ingredients list you say extra olive oil. has it got left out of the main recipe? Can I use lemon juice instead of whey? I don’t have whey… Thanks! HELP! HELP! ANYONE? Oh dear!!.. I soaked overnight, then on sunday, I cooked a whole bag of organic WFoods chick peas and took off stove still in water put on side with lid on and promptly forgot all about them until just now. ooops! .Its Tuesday noon, opened lid and there is a thick white layer on top. Ordinarily I would have just chucked the lot however I just read this post the other day and figured you guys would know if I can save them or are they done and dangerous to still eat..(I had originally planned to freeze into hummus size batches as usual) Or maaaaybe they are just super fermented and awesome to still eat??? Have you ever tried to ferment your homemade sesame tahini? You want to throw out the soaking water and then cook in fresh water. That fresh water is fine to use after the beans have cooked. Hmm, someone should tell that to Healthy Home Economist. I have been making fermenting hummus for a while now. I was curious, does your hummus get really sour? I know higher temperatures cause a faster fermentation rate and more sourness. Temperatures in my home hover around 79. Optimal temperatures for yeast start at 65. I am considering making a controlled temperature fermentation unit. Is there an ingredient I could add to my sour hummus after its fermented to offset the sourness? I noticed a different fermentation rate with store bought garbanzo’s and organic beans. I didnt add whey to either of them because I was a bit behind on my kefir production. The organic beans fermented all on their own! In warm temps like that, it will ferment faster. To offset sourness – a pinch of baking soda (after fermentation) should help. Just finished the lacto-fermented hummus and it is sitting on my kitchen counter. Licked a little bit and cannot wait to eat it. Thank you sooooooooooo much for the recipe! Another healthy food added to my diet! Thanks to you!